Hi guys, today we will continue with our next in the hair care series: another scalp butter but this time; we are doing it for oily hair. As mentioned yesterday; with the current weather, it is easy for our hair to look dry and fragile. Even if you scalp is oily; your hair tend to get ‘dry’ because of the haze weather we have lately. 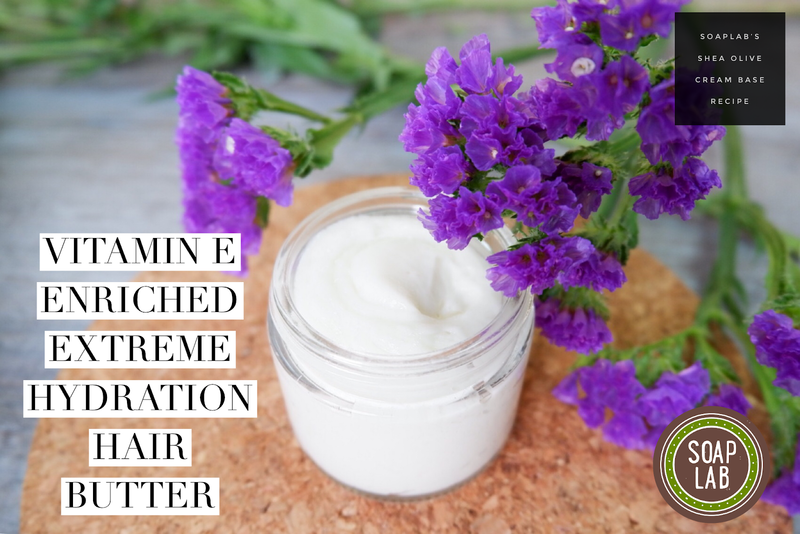 Today’s recipe; a vitamin E enriched hydration and repairing hair butter is a good remedy. The hair butter uses a nourishing and moisturizing shea olive cream base. In this cream; there is shea butter and olive oil added in which is a great emollient; giving your scalp a good moisturizing effect. Next, we added mango butter which is full of vitamins, and is a great moisturizer which softens the hair. Mango butter also feels ‘dryer’ so it wouldnt give your scalp the ‘oily’ feeling; unlike if you used another butters. Vitamin E is then added for an array of benefits. Vitamin E encourages circulation of the scalp. It also prevents split ends and gives your hair an extra shine. Finally, add sweet patchouli fragrance oil and there you have it, your very own hair butter. Have fun! Using a pipette, add in 1.5g of Sweet Patchouli Fragrance Oil into the mixing container. Add in 2g of Polyquat that has been diluted with 4g of glycerin to the container. Also, add in melted Mango Butter into the mixture. Using a normal baking spatula, mix cream and oil all together until everything is equally dispersed throughout. Spray storage jar with Rubbing Alcohol in order to provide a sterile environment for your hair butter. Fill hair butter until it reaches the brim of the jar. Do not overfill as it will spill and overflow when you screw your cap on.